You’ll find the previous story here. 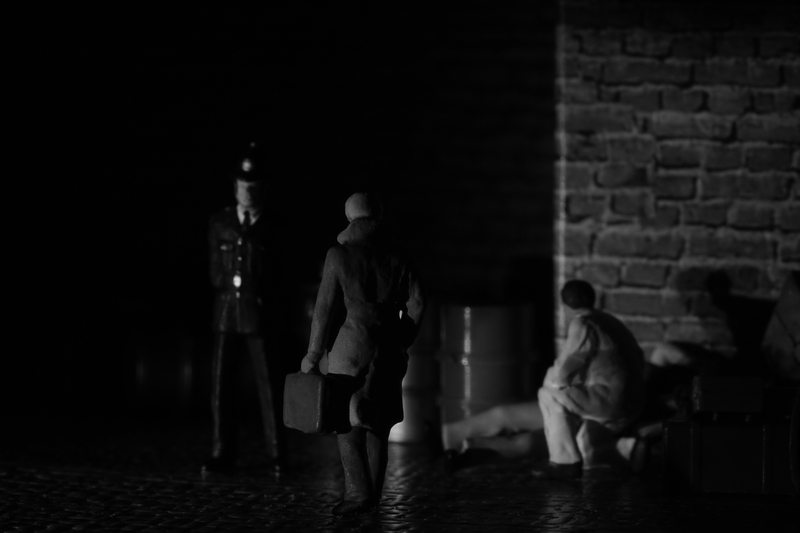 This entry was posted in Film Noir and tagged Detective Stories, Detective Story, Miniature, Mystery on 07/04/2017 by tms. Stunning film noir. 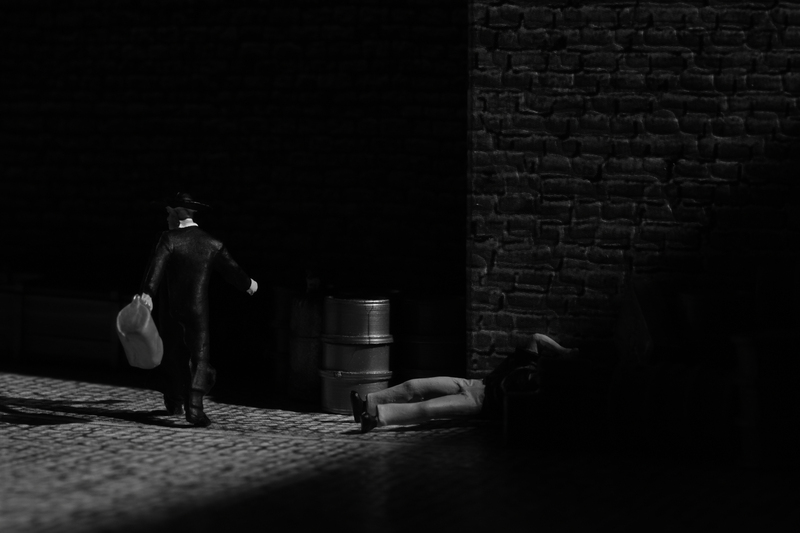 I’ve always loved ho scale figures for these moody atmospheres. Beautiful work. Thank you, Jennifer! These small people are kind of stuck in one pose, but I am intrigued by the realism of their movements. There’s something so magical with ho scale. It’s where I started with toy photography and where I keep coming back. Great idea and very cool photos! Thank you, Netty. I am glad you like it. Brilliant! It must have taken you ages to think this out and set it up. I do so admire your work. After reading loads of hard-boiled detective novels for a while, the stereotypical plot is more or less at hand. And since I love movies too, there are a couple of (stereotypical) pictures I know I want to be part of the story. But yes, setting up and getting everything right is kind of … time consuming. Thanks for visiting and commenting, Jo. Thanks a lot Paula; I am glad to hear this from you!